Should I Only Chew Sugar-Free Gum? We’ve heard time and time again that sugar, from sticky candies to syrupy sodas, is no good for our teeth. But what about when it comes to gum? 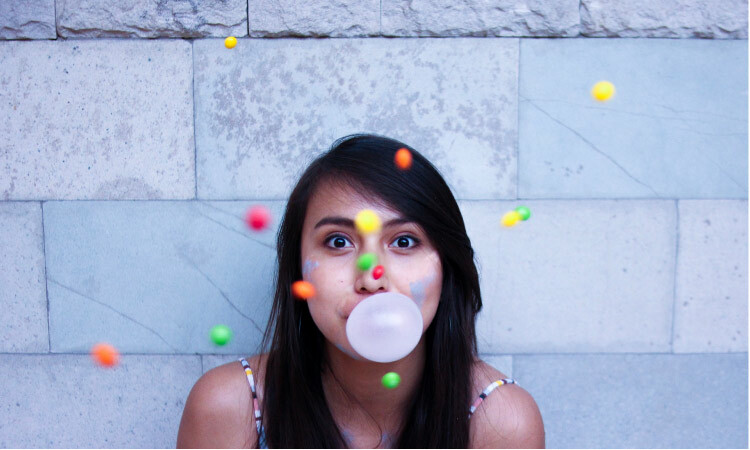 Read our blog post for details on the benefits of sugar-free gum. If you’re thinking about getting dental implants, you’re not alone. Three million people in the United States already have implants, and that number that is growing by about 500,000 each year. Read our blog post for a brief summary of dental implants and their many benefits. Tooth sensitivity can be painful and even debilitating at times. Depending on the cause of your sensitivity, there is only so much that you can do until you feel relief. Read our blog post to learn about toothpastes designed specifically to help address sensitivity. A smile is a sign of confidence. But when you have gums so large that they overpower your smile, it can be embarrassing to show it off. Read our blog post for the solution to fixing a gummy smile. Contact our team for a consultation! Our office is proud to be one of the few periodontists in Texas who uses the Pinhole® Surgical Technique (PST) to treat gum recession, a common issue facing many patients. Read our blog post to find out more. Have you ever wondered if periodontitis and heart disease are linked. View our YouTube video and call us to make an appointment or have further questions answered.